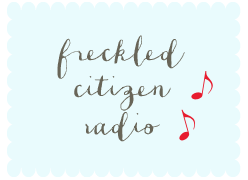 Freckled Citizen: Hazel's nursery featured on 100 Layer Cakelet! Hi friends! I know I've been holding out on showing Miss H's nursery here, and that's because it's being featured on 100 Layer Cakelet today! Head over to their gorgeous blog and check it out, and let me know what you think! We love her cheerful room and all the details that make it special. Once I'm back from vacation next week I'll share more. Enjoy! AMAZING!!! I absolutely love love love this! You guys did an awesome job! H is one lucky babe! 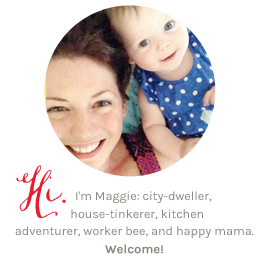 Funny, I just posted S's nursery on my blog a couple days ago! 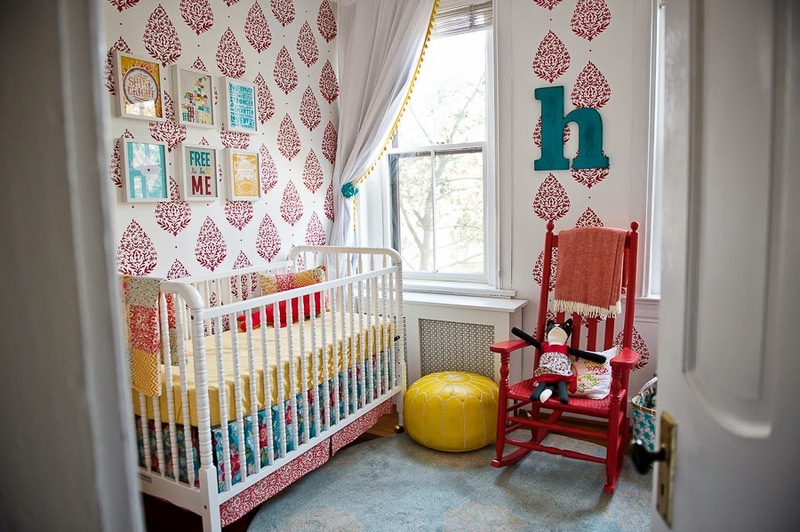 I adore H's room, it's so beautiful and I love that it's feminine without being pink! Great job!! Such a love room. I love all the red and I can't believe you stenciled the walls. It looks like paper!